Remove marginal plants first and store them temporarily in a shady spot, watering them regularly to prevent them drying out. Wrap any wilting plants in damp newspaper for temporary protection. Net off floating plants and keep them in buckets or trays of water. Place a temporary container for the fish and turtles somehwere near the pond, but shaded from the heat of the sun. A round wading pool with a good surface area is ideal. 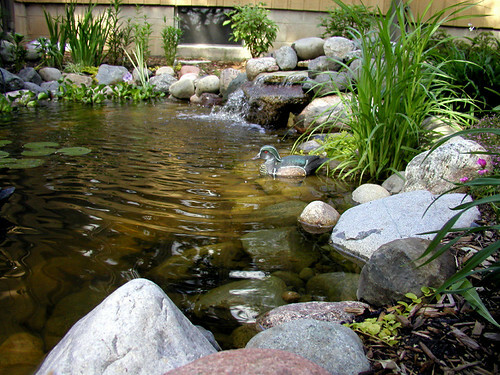 Fill the wading pool with the cleanest water drawn from near the surface of the pond. Unless the water is particularly foul, save as much as you can at this stage in buckets, so that the balance will be quickly restore in the refilled pond. Use the rest of the water from the pond for watering flowerbeds and shrubs. It is easier to catch the fish and turtles when the pond is nearly empty; this is now the time to do so. Make sure the wading pool is sufficiently aerated by installing a circulation pump or air stone. If you also have fish, cover the container with a tight-fitting fine mesh net to prevent the fish from leaping out. Drain the pond as low as possible and double check for any small fish you have overlooked. Remove the layer of debris on the pond base with a dustpan and bucket rather than the pump. If you need to step into the pond, check that the base will support your weight. Rinse the pond down and brush off any excess blanket weed from the sides. Reposition the plants in the pond as soon as it is sufficiently full. Add a water conditioner to the inflowing water to neutralize any chlorine. If you manage to save any of the old water, add it to the pond. Allow the water in the refilled pond to warm slightly before transferring the fish back in. The pond will take some time to settle and may appear rather cloudy for a few weeks. Feed the fish, but only sparingly at first. Avoid adding any new fish until the pond has completely recovered and established the nitrogen cycle once again. Want your photos or videos to be included on the blog? Join our Flickr group, Turtletopia, for a chance to get added and to see more turtle and tortoise related photos & videos! Winter is around the corner for most places, so if you’ve acquired a pet turtle friend, you might want to consider making an indoor pen like this guy did. 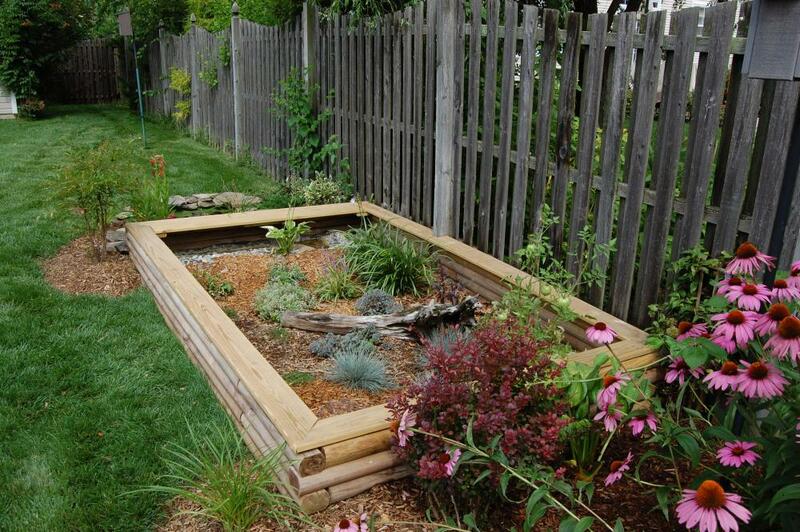 Here’s an excellent example of a great box turtle outdoor pen by Box Turtle Site. One of the prettiest I’ve seen. Expertvillage has tons of great videos on pet turtle care. I’ll be posting a few in the coming weeks.